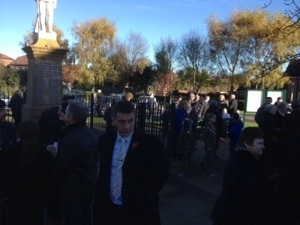 Remembrance Sunday has been one of those days when the village comes together every year. 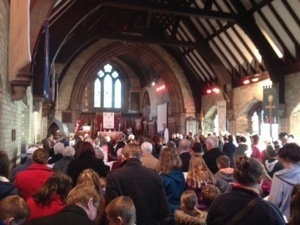 This year even more than before turned out with over 250 in church and dozens more meeting at the memorial. They heard the children of Moulton school tell the story of two young men from the village who paid the ultimate price for freedom in WWII. It never ceases to shock me that kids not much older than the ones from Moulton Adventure Group were brave enough to go and fight for their country. Our village came together today to remember and honour them. May they continue to rest in God’s Peace! So in the week that Ofsted announce that most schools are failing in their teaching of RE there is another report by the National Secular Society criticising the time that church and other faith based organisations are donating to schools to enhance children’s experience at school. The thousands of hours given freely to schools to help provide schools with some sort of basis for a moral compass, a grounding in the stories and the ethos that has been the bedrock of our culture for years seems to me something to be applauded. Have a look at this and see what you think.